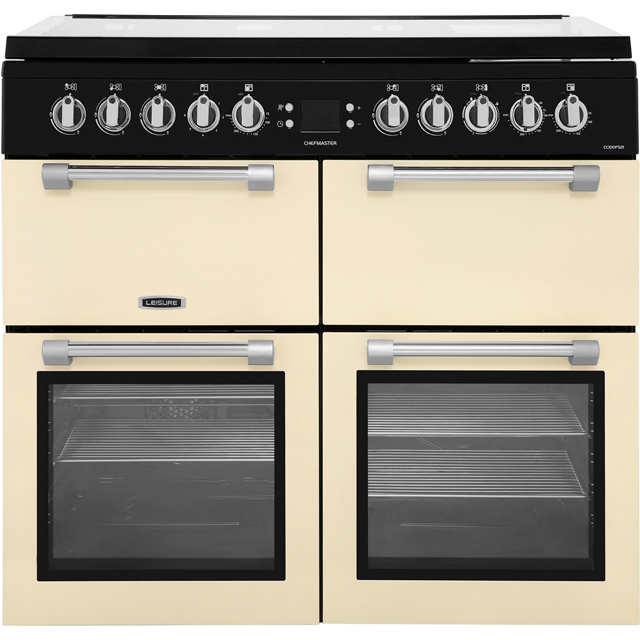 Cook lots of incredible meals with this cream range cooker from Leisure. It has 4 cavities, including 3 ovens and a grill, so you’ll have plenty of space to prepare various dishes at once. 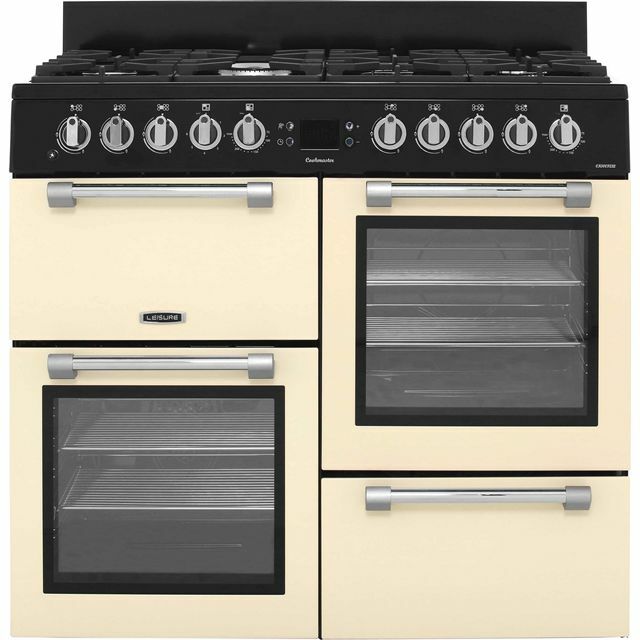 Whether you’re making an indulgent starter or delicious main course, the main electric fan oven constantly circulates hot air inside, so everything is cooked evenly. For that mouth-watering dessert, heat rises inside the second conventional oven, creating the perfect conditions to make light, fluffy sponges. This model also has a 6 burner gas hob with cast iron pan supports, offering even more cooking space, while the brilliant wok burner helps you prepare authentic oriental cuisine. Really pleased with the look of the cooker and the delivery service. The glass top is very sturdy. My only reservation is that the hot plate knob can be easily turned if you brush against it and comes on even if the cooker lid is closed. Already burnt a pair of oven gloves Id left on the top of it! .. Very bad and dangerous if you are not aware of this. 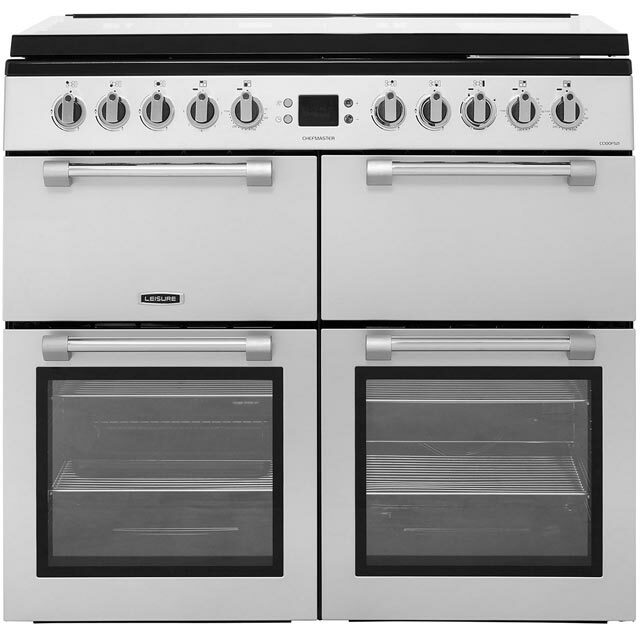 It can be a little noisy when the fan comes on during cooking but most fans do make a noise so this would not stop me purchasing this cooker. All in all v pleased with cooker except the ease of turning the hot plate on! 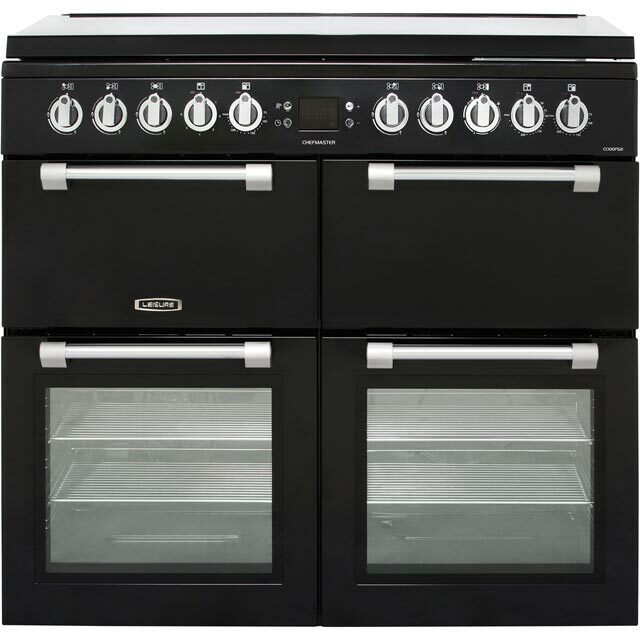 Great range cooker. Easy to use. Fabulous colour. Delivery guys very prompt, courteous and friendly. This is the first range that I’ve cooked on, and whilst it seemed slightly intimidating at first, it's actually very intuitive to use. 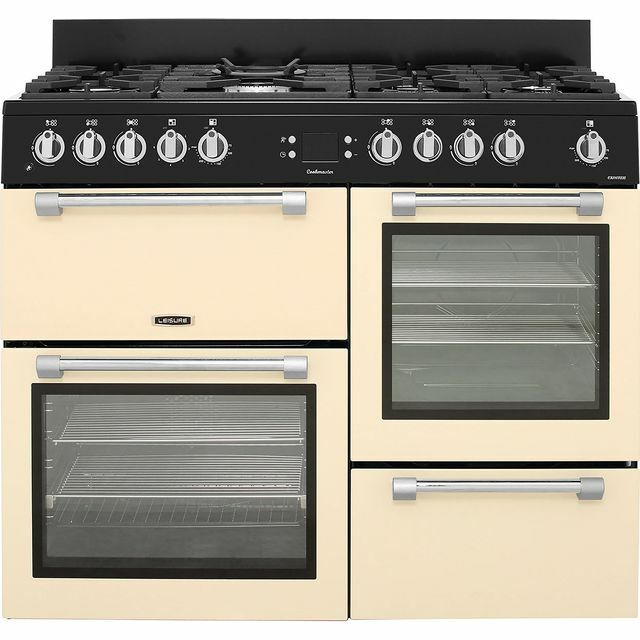 I could dive right on and get cooking straight away without a second thought, making it a perfect buy for anyone making that leap from a standard small oven to a range cooker. It's a fantastic all rounder, but I’m particularly in love with the fan oven at the moment. Everything cooks so evenly… even frozen oven chips! *I have a thing about frozen oven chips and not being able to get them to cook just right. With the fan oven I didn’t even have to try. Fab features, solid design and lots of cooking space. Really everything we could have wanted and more.